The Squier Stop Dreaming Start Playing Affinity Jazz Bass Guitar Pack Brown Sunburst is an authentic and affordable J Bass guitar pack. This set includes the sleek, great-sounding and easy-playing Squier Affinity Series Jazz Bass guitar featuring two single-coil Jazz Bass pickups, agathis body and a maple neck with a rosewood fingerboard. 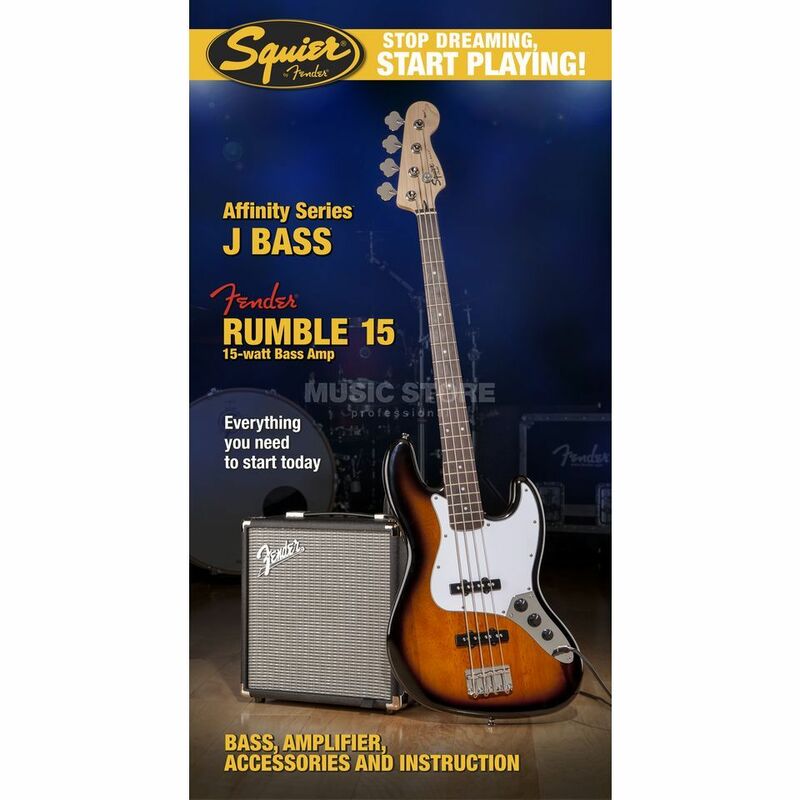 Plug the cable into the compact but punchy 15-watt Fender Rumble 15 bass amp for great bass tones. The amp also has an auxiliary input and a headphone jack, ideal for practice. Accessories include an instructional DVD, a guitar strap, electronic tuner, gig bag and guitar cable. Everything you need to Stop Dreaming, Start Playing!